An Australian couple whose daughter was born prematurely in Vancouver say they hope the Australian government will help pay the million-dollar bill. An Australian couple whose daughter was born prematurely in Vancouver say they hope the Australian government will prevent B.C. taxpayers from having to pay the million-dollar bill. 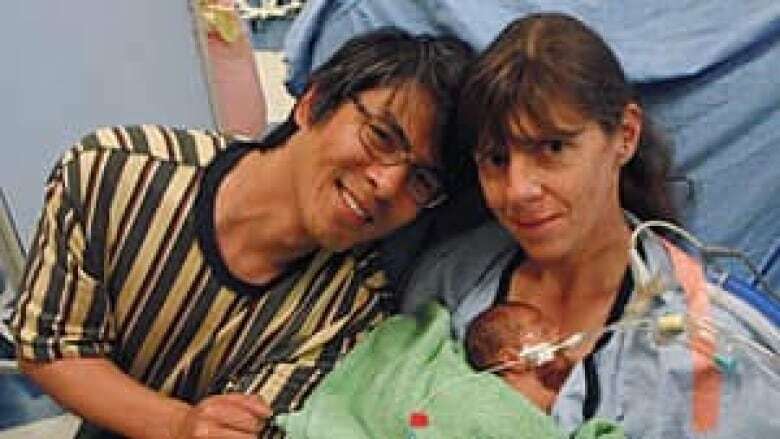 Piper Kan was born last Aug. 6, when mother Rachel Evans went into labour in her 26th week at Vancouver International Airport, shortly before the couple were scheduled to fly back to Sydney. The baby girl weighed less than a kilogram when she was born by emergency C-section at BC Children's and Women's Hospital and spent 90 days in neonatal intensive care with breathing and lung problems, at a cost of $8,120 per day. Piper's care also incurred the costs of numerous specialists and consultants. The couple also had to pay $550 for the ambulance from the airport to the hospital and another $3,000 for the birth. Rachel Evans says they went out of their way to find a travel insurer that covered pregnancy up to the 27th week and paid extra for pregnancy coverage, which included "unexpected events associated with pregnancy." She says a telephone operator assured them the coverage included births, but midway through their stay in Vancouver, they were shocked to learn that wasn't the case. "It's one of those things that you read about happening to somebody else and when it happens to you, it doesn't seem that it could possibly be real, but you're there, and on another level, you know that it's real," she said. "When we had various dealings with them afterwards, it was quite clear in the policy. I guess we hadn't read it closely because our verbal understanding was that we were covered." Travel insurance is especially important for travel between Canada and Australia as the countries have no reciprocal health-care agreement, meaning visitors are responsible for ensuring the costs of any emergency treatment are covered. But Evans says the Australian government or their insurers should cover the bill, not B.C. taxpayers. "If we'd been in Australia, we've always paid for full medical and private medical insurance. It would have been covered, no questions asked," she said. "So really, the only winner out of this is our private health insurer, because they've managed to avoid paying those bills for us in Australia." Evans and her husband paid $10,000 to BC Children's and Women's Hospital on a credit card as a gesture of goodwill and the hospital has agreed to absorb part of the cost. The couple have since reached a personal financing agreement with the hospital to pay $300 per month for the rest of their lives, but based on the figures they've been given, it would take them more than 200 years to pay their bill at that rate. 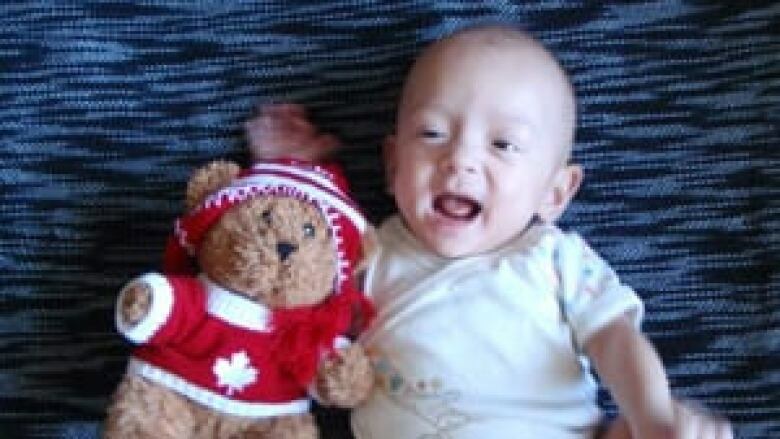 About 7,000 babies are born every year at BC Children's and Women's Hospital, the vast majority to British Columbians. For the fiscal year 2010-2011, the hospital says 13 non-resident women racked up unpaid debts of about $135,000 in total. It is unclear if the hospital includes financial arrangements like the one reached in Piper Kan's case in that debt. Spokeswoman Tracy Tang said non-resident births are rare but when they do happen, the hospital works with families to explore financing options that work with them. "BC Women's will always provide care for a woman in labour or in distress during her pregnancy," she said. According to the B.C. Ministry of Health, non-residents accounted for unpaid debt totalling $6.9 million last year. Australia has reciprocal health-care agreements with the United Kingdom, Sweden, Finland, Norway, the Netherlands, Belgium, Slovenia, Malta and Italy. Canada has no such agreements, although all the provinces have reciprocal agreements with each other with the exception of Quebec. Evans says she feels it would make sense for Commonwealth countries to have arrangements with each other, but she says she and her husband aren't complaining. "The bottom line is every day we have this beautiful, happy, healthy, social baby and we can only be very, very thankful for that, regardless of what the cost is in the end."